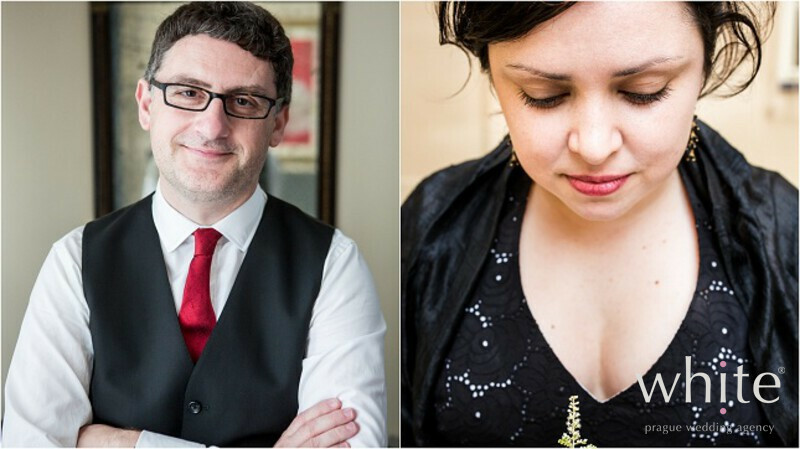 Martha & Mark are very relaxed and easy going couple with a big love for their dog Penny. Penny might be the cutest dog on earth, so no wonder! They live in Brooklyn, New York, and they are, in their own words – super informal. 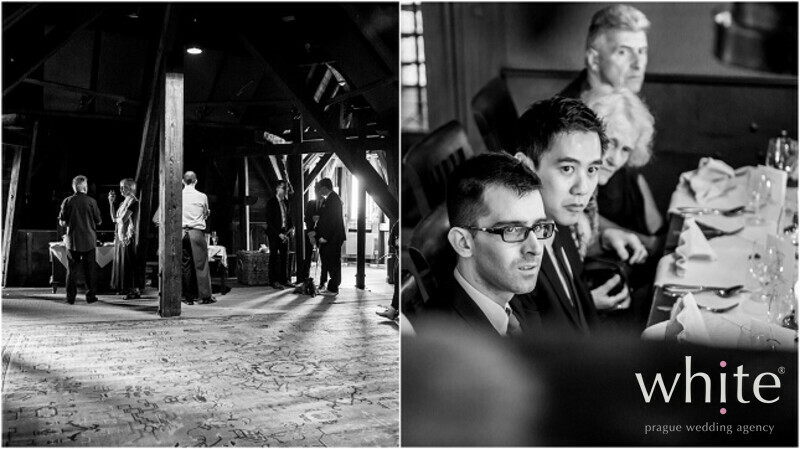 They truly are and so their Wedding was just like they wanted – relaxed and with Penny beside them. 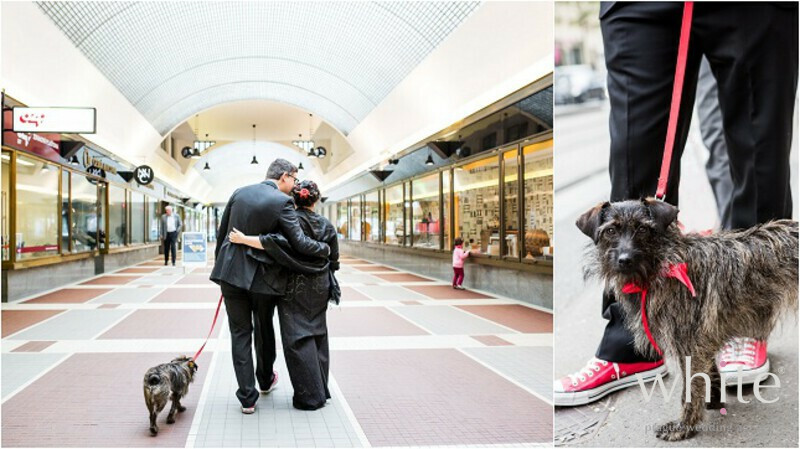 Martha was untraditionally wearing a beautiful black lace dress and red shoes and we loved the idea! Mark matched, wearing a red tie and red Converse shoes. And Penny of course had a red collar. 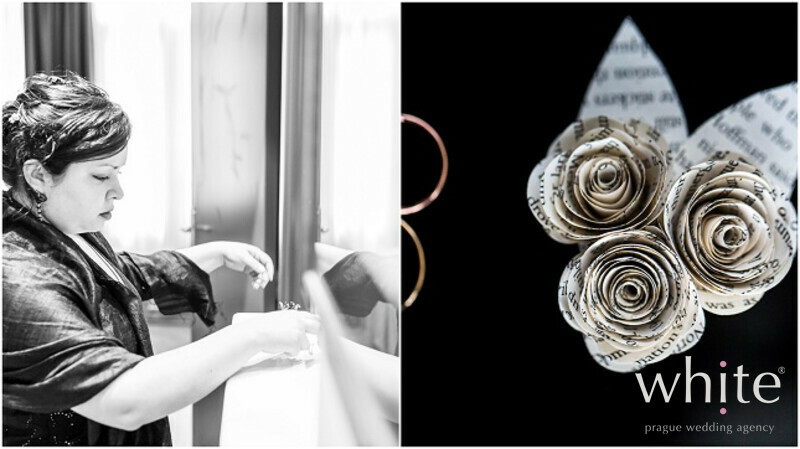 Martha was also holding a very special bouquet – with the main flowers to be made of paper, combined with a real baby’s breath, a few ferns and tied with a red ribbon. 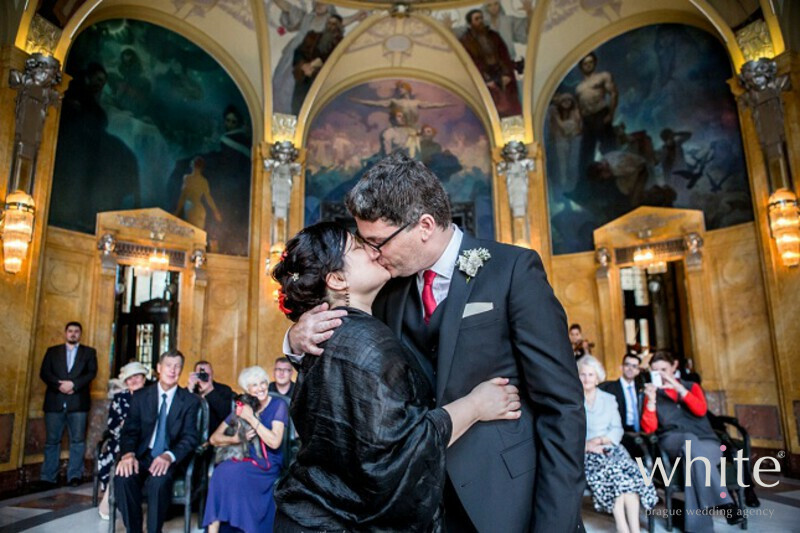 12 guests gathered for an intimate Wedding ceremony at the beautiful Mayor hall of the Prague’s Municipality House with Alfons Mucha’s paintings. It’s heaven for art lovers. Penny had to sneak in as they do not see dogs at ceremonies here often:-). As a matter of fact, it's a very unique ceremony venue. 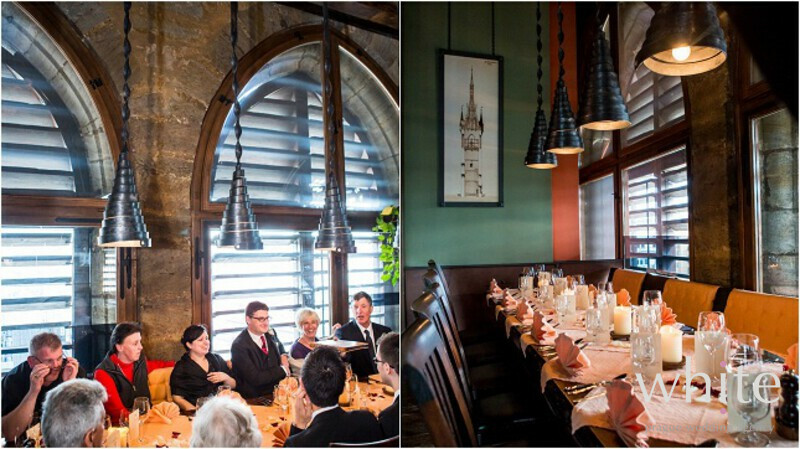 After the ceremony the guests enjoyed welcome drinks in the attick room of Jindrisska tower with the sound of chimes bells. The restaurant located in the tower is unusual, different, has a lovely decor and small in size and has traditional Czech food options. We were very happy to be part of this unique Wedding. Untraditional is great! Please see more about this wedding: http://www.destination-wedding.cz/photogallery/martha-mark-312/.